The Barden Console Table by Robert Langford has a distinct and modern shape with an art deco feel. 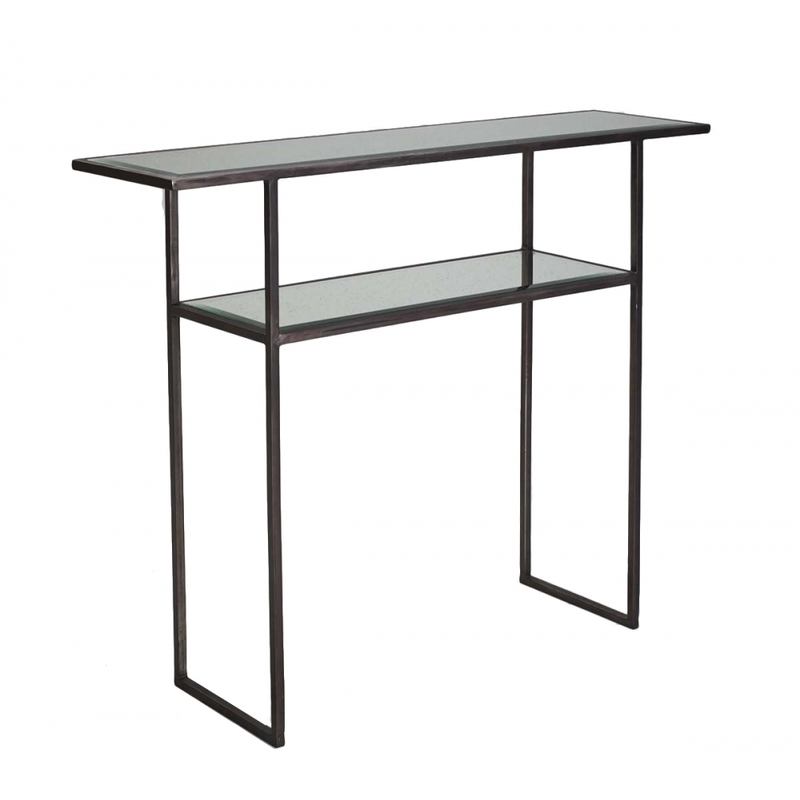 Featuring a glamorous, bevelled mirror design and sleek metallic frame, this console table will add a luxurious touch to any interior scheme. Ideal for a narrow hallway, create a statement entrance with the Barden design. Hand-painted in three metallic hues, the reflective surface will help to add light to a dark space. Containing a smaller rectangular shelf for extra storage, use to display a complementary table lamp, decorative objects and beautiful flowers. Rattan lower shelved version is also available.